There is evidence that people first started living in the Southampton area in the Stone Age. However, the first significant settlement was the Roman town of Clausentum, which was established in 70 AD and abandoned around 410 AD. 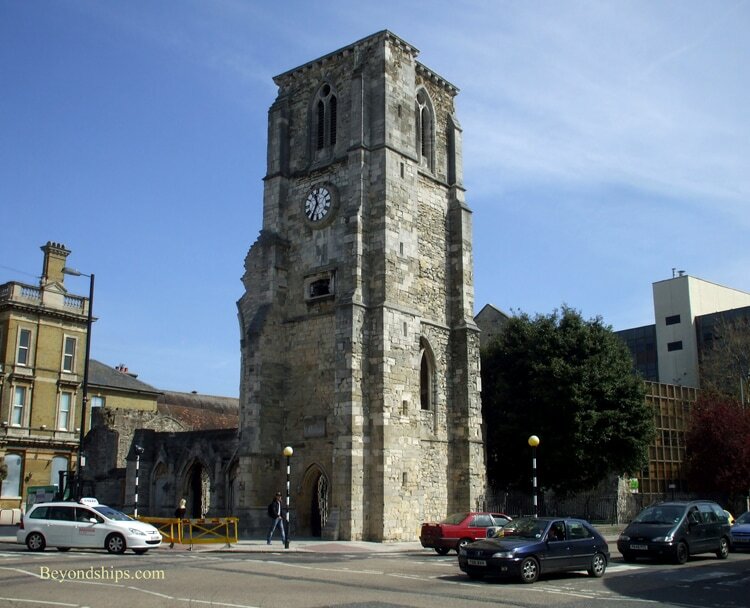 Southampton is also believed to be where King Chanute defeated the Anglo-Saxon King Ethelred the Unready in 1014. 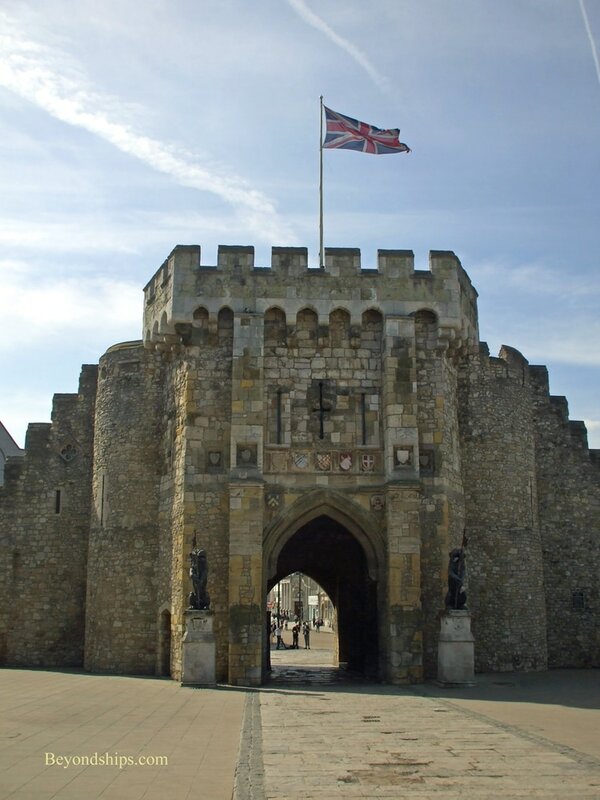 Following the Norman Conquest in 1066, Southampton served as a port of transit for travelers going from Normandy to what was then the English capital in nearby Winchester. The town was first chartered in the 12th Century and by the 13th Century it had become an important port for the importation of French wine and the export of English cloth and wool. During this period, the town was attacked by French, Genoese and Monegasque ships and so King Edward the III ordered that the town be enclosed by fortress walls. 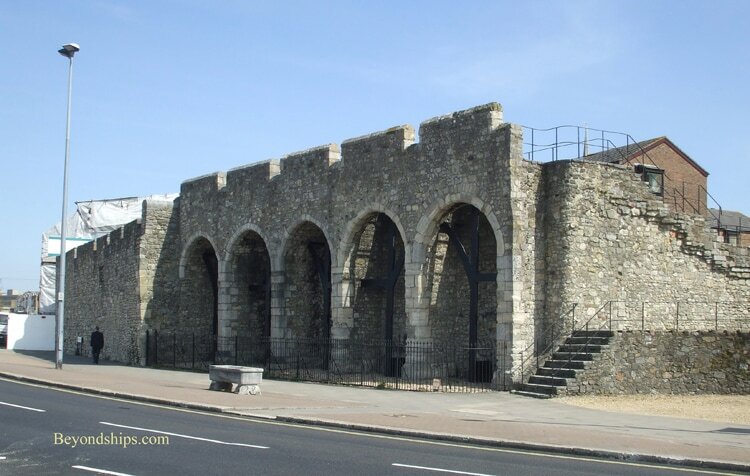 These were completed in the 15th Century and approximately half of the city walls survive. By the time of King Henry VIII, Southampton had become an important ship building area. It was to remain so until the late 20th Century. In 1620, the Pilgrims began their voyage to the New World from Southampton. They began their voyage with two ships but problems with the Speedwell required them to turn back and leave that ship in Plymouth. 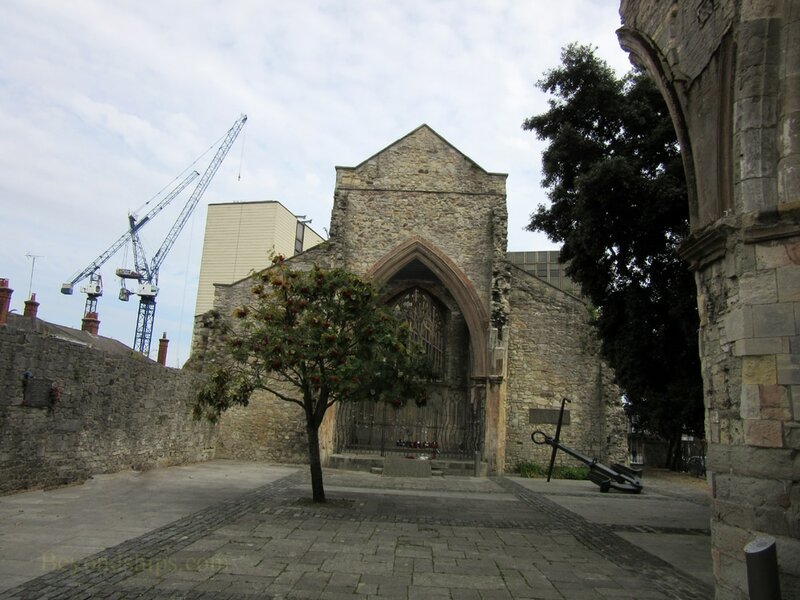 The remaining ship, the Mayflower, and the voyage she made for religious freedom and democracy is remembered in Southampton in monuments and in the names of several public places including a park and a cruise terminal. 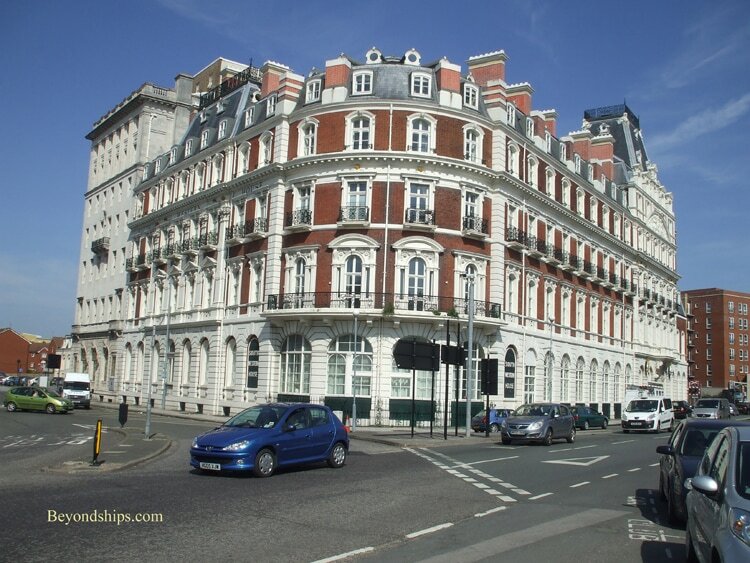 The city received its charter in 1640 from King Charles I and that charter remained in effect until 1835. Novelist Jane Austen lived in Southampton for about three years and there are plaques posted around central Southampton indicating where various events in her life took place. With the arrival of the railroad in the early 19th Century, Southampton became a major passenger ship port. The Titanic sailed from Southampton and many Southampton families were affected when that ship sank. 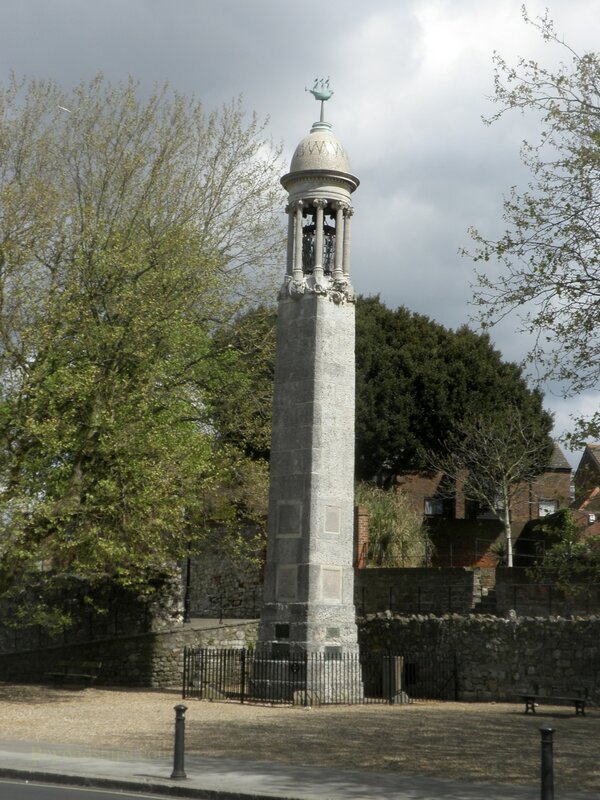 During World War I and World War II, many soldiers went through Southampton on their way to France and other battlefields. Similar scenes occurred in 1982 when British forces set out from Southampton for the Falklands from Southampton on Cunard’s QE2 and P&O’s Canberra. While associated with the surrounding county of Hampshire for most of its life, Southampton is now a separate political entity. 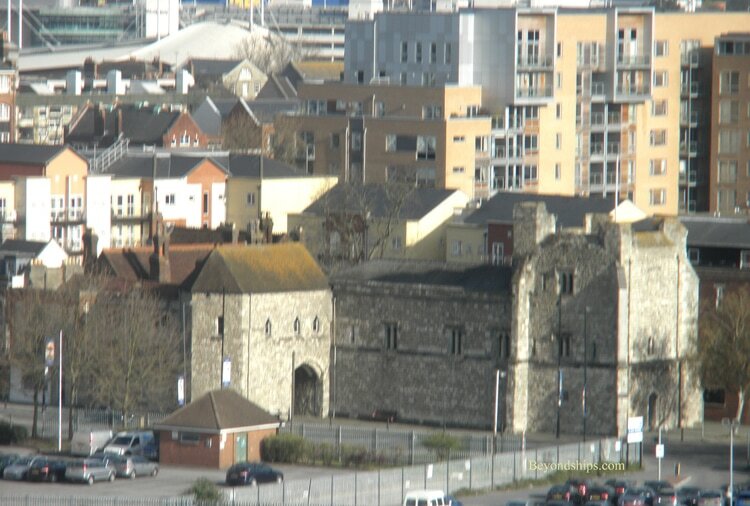 Above and below: Southampton retains large sections of its medieval city walls. 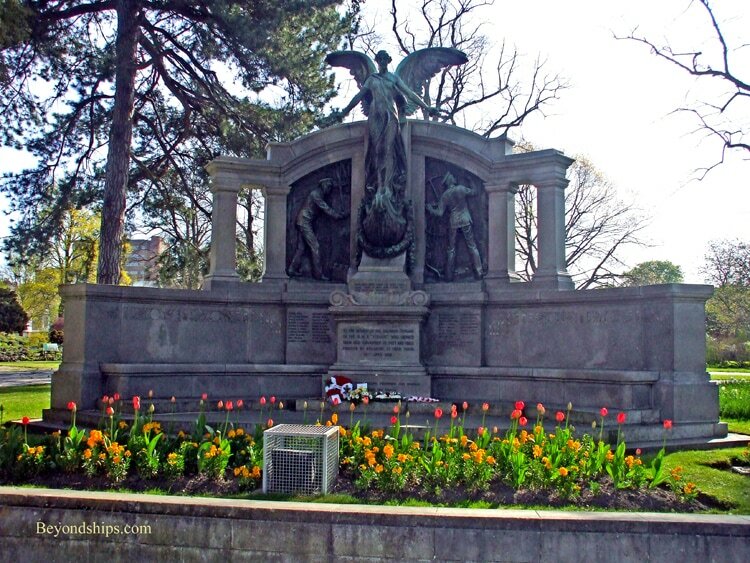 Above: Monument to the Pilgrims who began their voyage to North America from Southampton. Above: Southwestern House was a fashionable hotel for passengers embarking on the turn of the century ocean liners. ​Below: Four out of five crew members on the Titanic lived in Southampton. 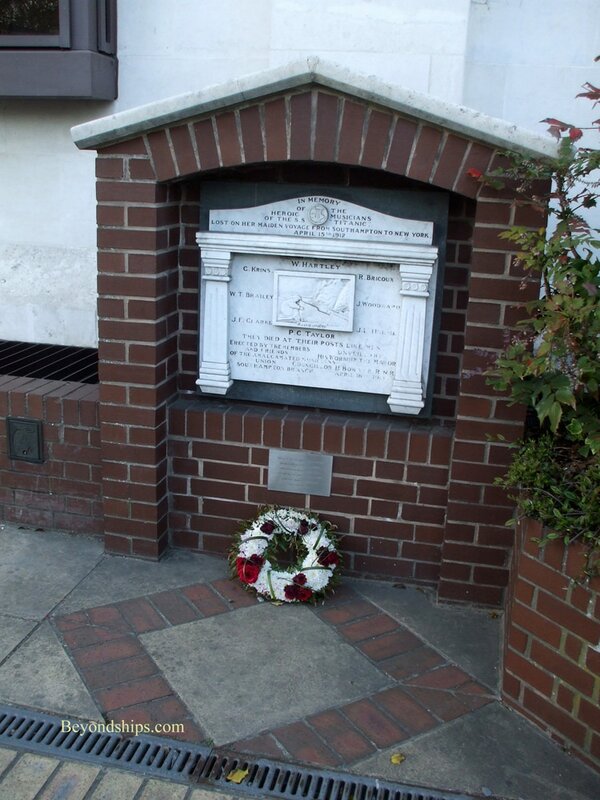 Accordingly, there are several Titanic memorials in Southampton. Above: he ruins of Holyroot Church recall the devastating bombing of Southampton that took place in World War II.